Smart technology is essential for improving the environment we live in. For the past 50 years, we have been using resources on this planet faster than we can replace them. Design can help us reverse this trend by changing the process, products, and the resources used to manufacture them. People are discovering that sustainable design is pivotal for innovation and potential profits rather than doing just enough to stay within regulations. Today, vehicles are responsible for serious environmental consequences. It is estimated that there are already 1.2 billion motor vehicles on the roads around the world. Transportation is becoming essential to our functioning. Automobile designs that enable the creation of clean and green mobility are of critical importance to any city in today’s day and age. Design issues are not just technical but are also connected to cultural and deeper socio-economic sensibilities. The challenges in the area of mobility are partly technical, but there are also several other challenges. Some common examples include figuring out appropriate energy storage methods, the right kind of 3D modeling techniques, optimizing processes for developing automotive systems. Car design has become easier as designers are using computers to run through dozens of design possibilities in the time it once took to produce a single prototype. The recent innovations in the 3D modeling industry have helped immensely in saving time and expense involved in developing new parts. India is where the future of industrial revolution will be and for two reasons: innovation comes from the younger generation — the average population in India is pretty young compared to the rest of the world. Second, the context of mega-cities and urban development in India is unique and would require very specific transportation systems. The Automobile design Industry has a great scope for qualified automotive designers in India, especially with the massive advancements in the area of 3D modeling. Just like many other fields, the car industry has seen enormous growth in recent years. Many big brands are opening their manufacturing units in the country. Apart from that, luxury car brands like BMW, Mercedes, Porsche, Audi, Bentley and Lamborghini are selling encouragingly. According to the Indian Automobile Industry Report, over 11 million two and four-wheeled vehicles are manufactured every year. The recent report of the Society of Indian Automobile Manufacturer suggests that India has sold more than 1 million cars last year with a growth rate of more than 12% per annum. Thus, these figures reveal the exciting opportunities in the area of automobile design. BBC report on ‘Timeline: India’s Automotive Industry’ exposed the fact that there is a requirement of 200 more qualified automobile/ automotive designers every year compared to what the system offers at present. The Automobile design industry is one of the highest paying sectors in India and will develop further in the future. 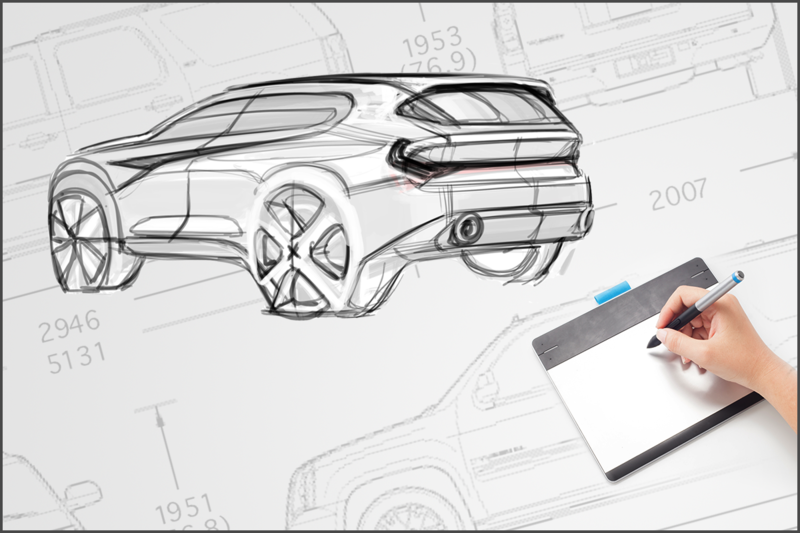 3D modeling has evolved to such a great extent that very soon automotive and automobile designing will become paperless. 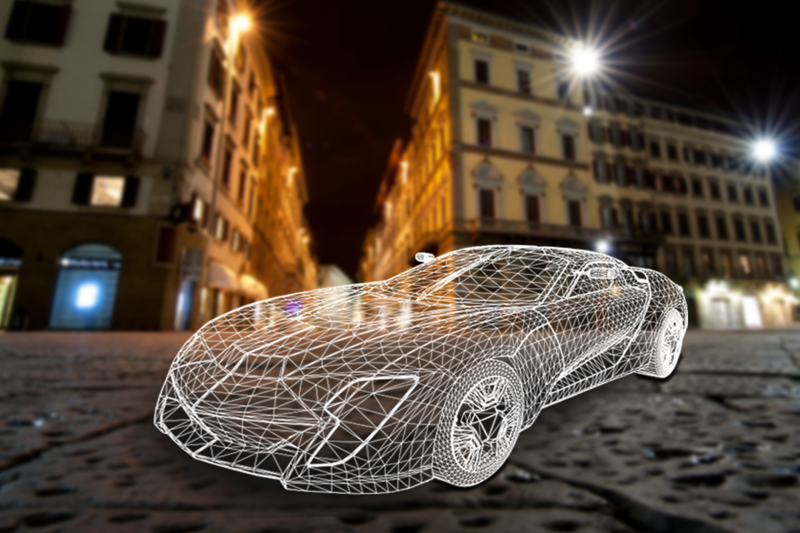 3D modeling has helped engineers and automobile designers create cars that are more efficient, elegant and enable low-cost productivity. The product designer or engineer can not only visualize the product but also animate and rigorously test the product before any physical object is created with the help of 3D modeling. Advances in 3D design and engineering have already changed the way some components and systems are being designed. 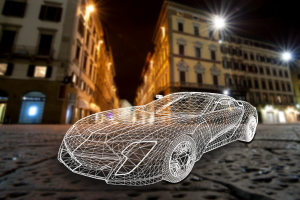 Experts suggest that as much as 40% of development time for a completed vehicle can be slashed with wider applications of 3D modeling.